I have been a ship modeler for over 20 years, have written several articles, given a couple public talks on the subject, even gotten awards for some of my work. Over the past 3 years, being part Japanese, I've taken an increased interest in traditional Japanese boats and their models, but information available in the U.S. is very scarce. I've done about as much as I can do in researching traditional Japanese watercraft from a distance, and need to take the next step and actually travel to Japan. I wasn't expecting to be able to do this, but I was poking around on the Internet and found an incredible flight deal. Deciding it was crazier to pass up than to book it, I jumped in with both feet. So now, I have to fund it somehow. I'm doing what I can on my own, but I could really use some outside help. This will be a relatively short trip in early September 2016. The funds are needed before I make the trip. So, ideally, by September 1, 2016. To keep costs, down, this will be pretty much a whirlwind trip, and I won't be able to go to all the places I'd really like to. But, the places I'm planning on travelling to are major sources of information on Japanese traditional boats and should provide enough research material to aid me in writing 3 or more articles, and help improve my own model work as well as those I can provide this information to. The funds I'm looking for are primarily to help cover travel, lodging, meals and some small incidental expenses, such as museum admission, etc. Being born in Japan, and being a very active ship modeler for over 20 years (with 5 published articles and having given 2 talks), this is really the coming together of two completely independent parts of my life. It is my hope to be able to share what I find in Japan through additional talks, articles, and model displays. I also have a blog for ship modelers that receives an average of 50 international visitors a day from the US and abroad. The blog will be updated so others can follow along on this journey. Any donation is greatly appreciated. And any photos taken on this trip (I expect to fill many GBs of flash card storage) really belong to all who contribute. Because I have living relatives in Japan, one day will probably be set aside to visit with some of them. Most, I have seen maybe 2 or 3 times in the past 50 years and we can't really communicate well. But, my surviving aunts and uncles are now in their late 80s and I would like to take the opportunity to see some of them, maybe a last time (3 have passed away since I visited about 8 years ago). A final thank you to everyone who helped make this trip possible. I've returned from Japan early last week and have been in "Recovery Mode" for a bit. It was a really great trip, but when I suggested it would be a whirlwind journey, I was pretty well on target! I kept getting warnings about typhoons hitting Japan, but I only had one day with any appreciable rainfall, and it was only a couple brief showers one morning, before I headed out. I didn't open my umbrella once. But, it was pretty warm weather and VERY humid. It's a really good thing the hotel I stayed at in Tokyo on my third night in Japan had free laundry facilities – It was very tropical! I had a great visit, met several people in person for the first time, and managed to get to all my primary goals. There were a number of secondary things I wanted to do and places I wanted to see, but with all the travel I just couldn't do it. Still, Toba was great, Sado Island was wonderful, and I always love visiting Tokyo. I managed to come back with several new books, the folks at Woody Joe (ship model kit manufacturer) gave me a ship model kit as a gift, and the curator at the Urayasu Museum gave me a model of a Bekabune (it was a challenge packing it safely in my small suit case), built by the volunteers. I also came back with a huge number of photos, so I have plenty of material that should keep me working on Japanese watercraft models for at least a couple years. It's also given me a better awareness of the resources available, and what things I might be able to focus on in the future. The first task is to finish up an article on building a Higaki Kaisen model that I'm now updating. It's essentially done, and now I'm adding photos I took, and modifying the article with my new found perspective. I hope to get this submitted by the end of this month. I'm also preparing my 15-minute presentation on modeling Japanese watercraft for the Nautical Research Guild Conference in San Diego in a couple weeks. Also, I have to put together a demonstration and display for a some discussion sessions I'll be doing. I have been working on my own Bekabune model, and have made some good progress with inspiration gained from my visit to the Urayasu museum. While there are too many details for the model to be completed in time for the NRG Conference, I will take the Under Construction assemblies to help in the discussions. Then, for the month of November, I have another Japanese boat models display set up in San Francisco's Japantown. So, there are announcements and new display stands to make for that. Lots to do, so I'd better get on it. Thank you again for your gracious support. As you can see, I'm not letting what I've brought back go to waste! Thank you again everyone for your support for this trip. I have what I need to make the trip, pay for expenses, and to travel with great peace of mind, so I'm closing the donations options on my gofundme account. It is great to have such generous and supportive friends and relatives. I will certainly be thinking about you all on this trip, which begins in 10 days. Now, it's all on me to make sure I take care of everything that needs to get done. I'll make sure to report back from the road and to post lots of pictures. Thank you again to all who have contributed to make this trip possible by your direct donations or by spreading the word.In less than 2 weeks, I will be arriving in Tokyo. Many friends from my performing group, Ensohza, have been traveling up to Tohoku to study Japanese traditional dance. They've been posting great photos and I'm very envious of their experiences, and getting very anxious about my own upcoming trip. I haven't changed my funding goals, though I've reworked my cost estimations and fine-tuned my plans a bit. I've discovered a couple glitches in my itinerary where I will have to pay for some taxi travel, a little extra for train travel, and small change to my hotel plans. Also, I discovered my passport just expired at the end of July, so that was another expense. In all, about another $400 above my original funding goal. But, I'm leaving the funding goal as-is. With some payments I recently received for project work I've done (one ship model delivered, and an upcoming article I wrote about building a model of a Tosa Wasen, traditional Japanese fishing boat), I now have enough money to make this trip. If anyone is still interested in supporting the trip, I could use a little wiggle room on the expenses. Right now, I'll still be counting yen a bit, so any little bit really does help. If I can manage it, I also could use on-the-road Internet access for mapping and translation purposes. Also, to do some work (research related) while traveling. But, in any case, the trip is absolutely on, and I'm very grateful to be able to do this. A little nervous about making sure I've done everything correctly and figured out all the little details of the travel scheduling since there's so much dependent on timing. Still, I'm very excited and really looking forward to this! I now have dinner plans with two members of the Japanese ship model society in Tokyo called "The Rope." I have been in email contact with these two gentlemen for many months and we will meet in Asakusa (Tokyo) for dinner one night. 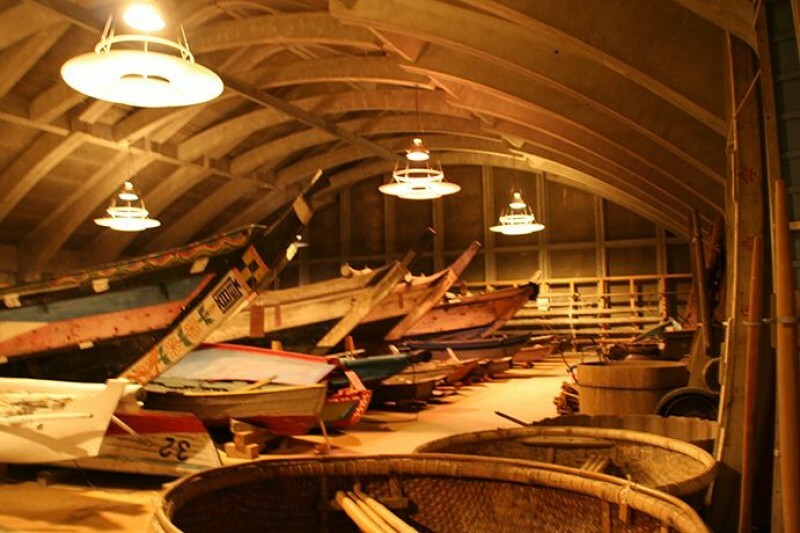 Also, as a follow-up, it's now definite that I will be participating as a co-speaker in a presentation on modeling Japanese wooden boats at the Nautical Research Guild conference in San Diego in October. In addition, I've been asked to do a demo/discussion on the subject. I have no idea how I'm going to do that yet, but I'll figure it out. I'm sure I'll have plenty to share on the topic from this trip. In addition, I'm planning to make final revisions to an article about making a model from kit of a Japanese Edo period coastal transport called a Higaki Kaisen. Again, I will add some experiences from this trip to finish off this article. I will post a final update before I leave on September 3rd. A big thank you to everyone who has helped me out, either with a donation or by spreading the word for me, or even by your good wishes! I have now gotten some physical assistance from my contact at the Japanese wooden model kit manufacturer Woody Joe, which is in Shizuoka. They visited the Hacchoro people in Yaizu and discussed my visit there. When I visit Woody Joe, they have also offered to drive me to Yaizu, where the boats are located. This will save a lot of transportation hassle. Of course, I'll REALLY need to bring a small gift of thanks now! At minimum, I have to find some appropriate "Omiyage" – small gifts or souvenirs given when visiting or returning from a trip. But, living so close to a landmark city like San Francisco, it should be easy to find little things that people will appreciate as remembrances of my visit. In the meantime, I'm scheduled to give a talk about Japanese boats to the sword collectors club in San Francisco in June. 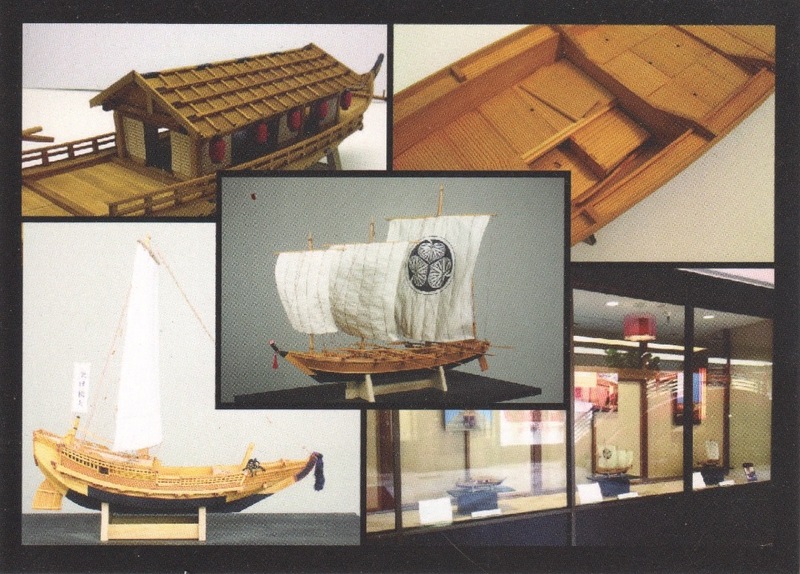 Then, my Japanese boat models display returns to the Japan Center Mall for the full month of July. 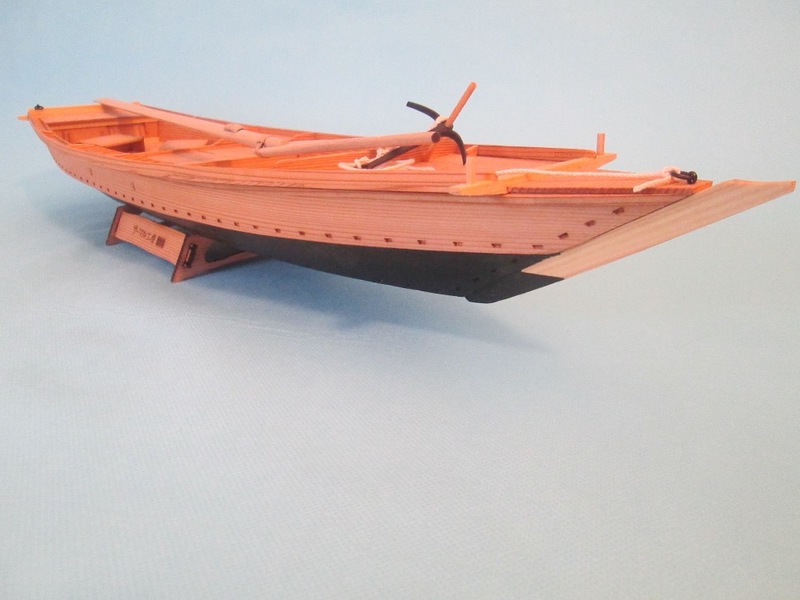 This time, I'll be adding a 1/10-scale model of a Tosa traditional 20 foot fishing boat. I'm also working on a simple 1/10-scale diorama of a boatbuilder's workshop to provide a glimpse of how traditional Japanese boats were (and are) built. Hopefully, this will be ready in time. 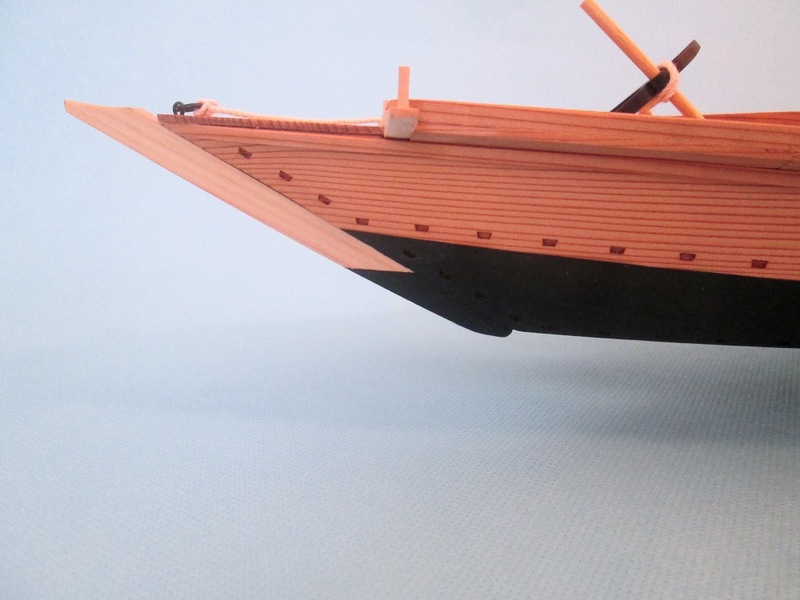 Last week, I finally finished writing an article about the building of this model and submitted it to the Nautical Research Journal for publication. I've already talked to the editor about this, though I don't know exactly when it will see print. 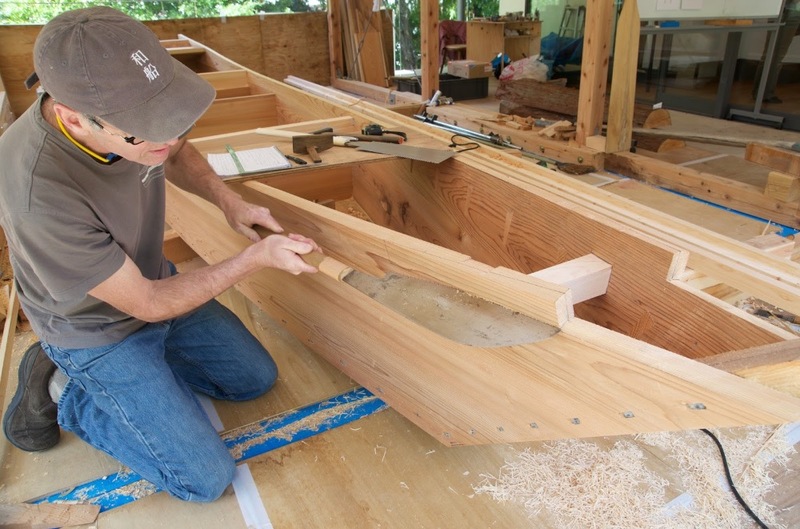 But all of this is no substitute for following the work of boatbuilder Douglas Brooks, who is currently in Japan working on a project at a museum near Kobe, giving Japanese visitors a glimpse of the work and art of their rapidly disappearing traditional craftsmen. Visit http://blog.douglasbrooksboatbuilding.com for more information. Lastly, I'm now in discussion with Mr. Brooks about doing a combined talk with him about Japanese traditional boats and their models at the Nautical Research Guild Conference in San Diego this October. We'll see how THAT goes! Have an amazing time! Post pics!